Raising the consumption tax has been a central issue in the buildup to Sunday’s upper house election. But it has also brought an element of unpredictability to the likely result since both the nation’s biggest parties are calling for it to be raised. In last year’s general election the Democratic Party of Japan said it wouldn’t raise the tax during its four-year term. But if people who voted for the Democratic Party of Japan last year are upset about Prime Minister Naoto Kan’s call to raise the sales tax, who will they support instead? After all, the ‘reference’ figure of 10 percent for raising the tax is the one put forward by the main opposition Liberal Democratic Party. The LDP’s former coalition partner, New Komeito, and the new LDP splinter parties (the New Renaissance Party and the Sunrise Party of Japan), also favour a sales tax hike, as does the Spirit of Japan Party set up by local government leaders. So that rules these parties out. The three parties that are completely opposed to the sales tax and want to scrap it are the Japanese Communist Party, the Social Democratic Party and the Happiness Realization Party. The Japanese Communist Party has consistently railed against the sales tax and has been able to rattle its sabre on this issue once again. It might add a seat or two in this election as a result, but its overall policy package may be too much to swallow for mainstream voters. Would these unhappy DPJ voters vote for the SDP after its checkered experience in the coalition government of the DPJ and its divisive decision to leave over the Futenma air base relocation issue? As for the Happiness Realization Party, opinion polls suggest it's barely on the radar of most voters. That leaves just the New People’s Party and Your Party as options. The New People’s Party is actually part of the DPJ coalition government at the moment despite its opposition to raising the tax. If this suggests an imminent rupture in the coalition, this election could be the facilitator. The party’s plans to boost the economy with 100 trillion yen in spending over three years seems closer in character to how the LDP used to operate than even the current LDP does. Would a DPJ voter go with this option? A fresher choice might be Your Party. Of the new political parties created over the last year or two, Yoshimi Watanabe’s has had the most time to establish itself and build support. Your Party’s line on the sales tax is that a three-year reform push should take place before any tax reform. Now that’s an argument that might pick up those disgruntled DPJ supporters. Any surprise then that Your Party has been coming third in opinion polls this week? 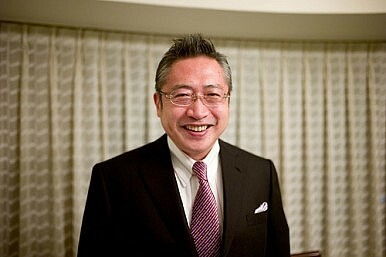 Japanese Foreign Minister Seiji Maehara reportedly quits Sunday over a 200,000 yen donation.